THE enthusiasm and growth around the straight out trotter has been undeniable and infectious. 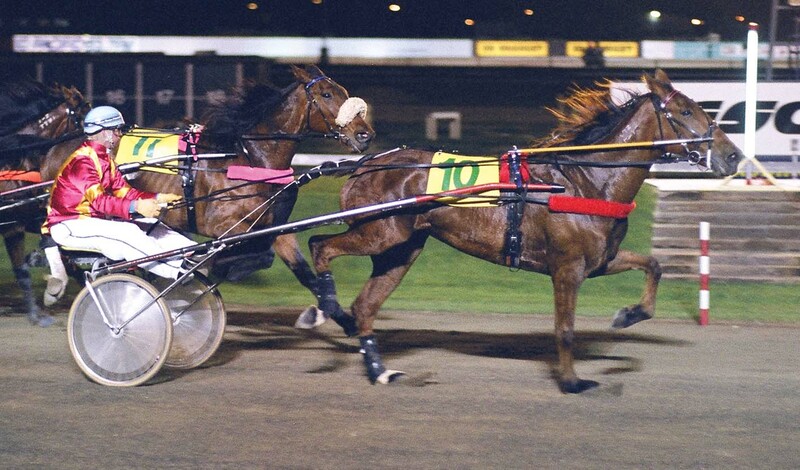 Stakes are continually growing, opportunities for fillies and mares are developing on both sides of the Tasman and trotters’ races are taking up a bigger percentage of just about every meeting. There are five yearlings by Muscle Hill catalogued at the Auckland Sale and Breckon Farm hold the key with four of them, all colts. The first through the ring will be Lot 53 which is out of a half-sister to 10 time Group One winner I Can Doosit, followed by Lot 80, a son of great producer Regal Volo and a three-quarter brother to High Gait. Lot 127 is from the same family being out of Alannah Hall, a six-time winning daughter of Regal Volo, while Lot 137 is a direct descendant from Group One-winning mare Merinai. Woodlands Stud’s single trotter in their draft is the fifth Muscle Hill. Catalogued as Lot 64, the filly is out of nine-time winning mare Miss Pegasus, another daughter of Merinai. Long established breeder of trotters Roni Lauren will present two yearlings in the Auckland catalogue with both trotters descending from five-time Group One winner Allegro Agitato and half-sister to the sire of Tornado Valley in Skyvalley. Lot Nine, a filly by Peak, is out of seven-time winning mare I Got Rhythm while Lot 105, a colt by Love You, is the sixth foal out of Allegro Agitato. Tony and Anne Parker will present a draft of eight yearlings in February under their banner Tardina Stud. Exactly half of their draft is made up of trotters, including three yearlings which descend from their grand mare Miss Whiplash – the family of Yagunnakissmeornot and Enghien. Lot Four is a filly from Group Three New Zealand Trotting Oaks winner Emma Hamilton, Lot 61 is a filly by Love You and Lot 125 is a colt by Angus Hall. Claire Madden will present the third Love You yearling in Auckland catalogued at Lot 60. He is out of a winning daughter of Group Two winner Sanchiola – the dam of Group One Victoria Trotters Derby winner Kyvalley Road. Trent Yesberg has presented a large draft in the south for a number of years but for the first time this year sells under the Ripple Creek banner of his property at Ohoka. Ripple Creek are preparing 14 pacing yearlings and seven trotters, many for their major client Jordash Breeding. The farm has three of the seven yearlings by exciting first season sire Father Patrick. Lot 156 is a colt from the New Zealand record-setting mare Hot Pants and is a half-brother to Group One performer Yagunnakissmeornot. Lots 163 and 177 are both well-related fillies with Group One winners Quite a Moment and Take a Moment from the same family as Lot 163, and New Zealand and Australian Trotter of the Year Stent from the same family as Lot 177. Lot 193 is a colt by Muscle Mass and is out of a winning sister to Group One New Zealand Trotting Derby winner Belle Galleon – the dam of Stent. Drive onto the Phil and Bev Williamson-owned Ardgowan Lodge south of Oamaru and it feels like you’re in ‘the land of trotters’. The extended Williamson clan offer four trotters at the Christchurch Sale. Lots 173 and 188 are descendants of Frances Jay Bee, winner of the Broodmare Excellence Award and dam of six winners, including multiple Group One winner on both sides of the Tasman One Over Kenny. Lot 151 (Grassy Meadows Farm) is a direct descendant of another Williamson star in Jasmyn’s Gift while Lot 160, offered on account of son Nathan Williamson, is a Father Patrick colt out of Group One winner Kylie Ree. Michelle Baird, who reared and prepared for the late Bob McArdle at Bromac Lodge, has two of her own yearlings to present this year. Both by Father Patrick, Lot 159 is the first foal out of winning mare Never Fear while Lot 182 is out of the dam of Never Fear in Without Fear. This is the family of last year’s Group One Victorian Trotters Derby and Breeders Crown winner Stress Factor. Love You has 13 yearlings on offer in the Christchurch Sale making up 25% of the trotting progeny on offer. Lot 147 is a colt from the eight-time winning Sundon mare Experiment, Lot 157, also a colt, is from a sister to Group One NSW Trotters Derby winner Aldebaran Shades. Lot 171 is a filly from the 10-time winning mare Sarah Lindenny who is a half-sister to Group One Harness Jewels 2YO Ruby and 3YO Ruby. Dennis Bennett prepares Lot 172 who will be offered under the Lindenny Lodge banner. This filly is a half-sister to Group One Breeders Crown winner (Our) Show Gait. Michelle Caig brings up from Winton Lot 176, a half-brother to six winners, including Pretty Sunday, Sonofanearl and Rosemma while acclaimed northern photographer Trish Dunell will offer Lot 185 through the draft of Dancingonmoonlight. The colt is a direct descendant from Trotting Broodmare of the Year Another Starlet who is the dam of 11 winners. Dancingonmoonlight’s draft also includes Lot 167, a colt by Majestic Son who is out of Trotting Mare of the Year Zeal and producer of Group performer Heyzeal, as well as Lot 146 (Quaker Jet), the first lot to go under the hammer in Christchurch from the family of Allegro Agitato and Skyvalley. The highly anticipated trotting session of the National Standardbred Yearling Sale in Christchurch will see an exciting draft, here’s just a few more highlight lots. Aimee Edmonds Lot 189 is a colt by Orlando Vici out of Three-Year-Old Trotting Filly of the Year Belle Galleon – dam of Group One winners Stent and (My) Arya. Steve and Natalie Roulston offer Lot 174 which is a three-quarter brother to Speeding Spur and Studholme Bloodstock and Kahukuri Bloodstock will join forces to present a Muscle Hill filly, Lot 158, out of a half-sister to Shezadoosie – the dam of I Can Doosit.